Hyundai Motor Company Australia is running an integrated advertising campaign for the Hyundai i45 using falling water effects to highlight the brand’s fluidic sculpture concept. 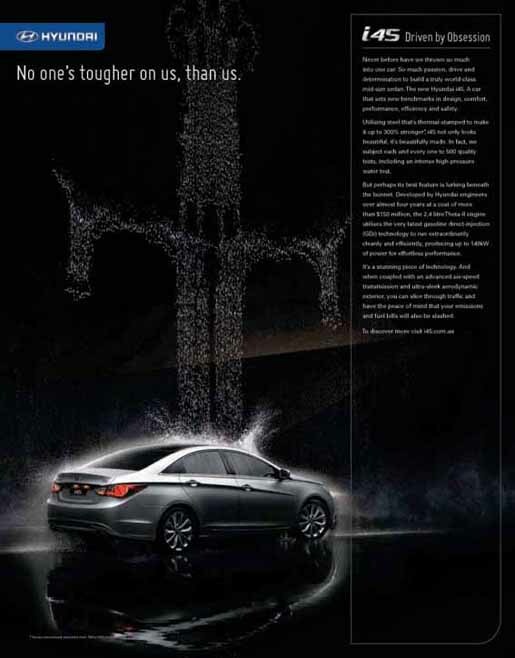 Hyundai’s passion for quality, caught up in the tag line, “Driven by Obsession”, is embodied in cascading water demonstrating the the tests, commitment and investment that Hyundai has dedicated itself to, in bringing every i45 to market. The campaign includes television and cinema, print ads, an extensive online schedule, point of sale, out of home and displays at airports. Filming was shot by director Bruce Hunt via Revolver with director of photography Danny Ruhlmann, production designer Karen Murphy, executive producer Michael Ritchie and producer Catherine Jarman. Post production was done at Animal Logic, Sydney. Editor was Drew Thompson at Guillotine. 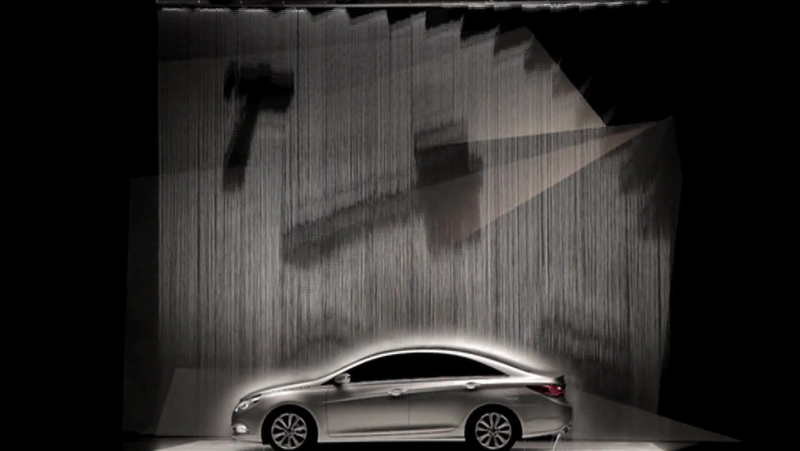 Water effects were produced at Visual Liquid by Tino Foti. Sound was designed at Song Zu by Simon Kane. Music is by Elliott Wheeler at Turning Studios.